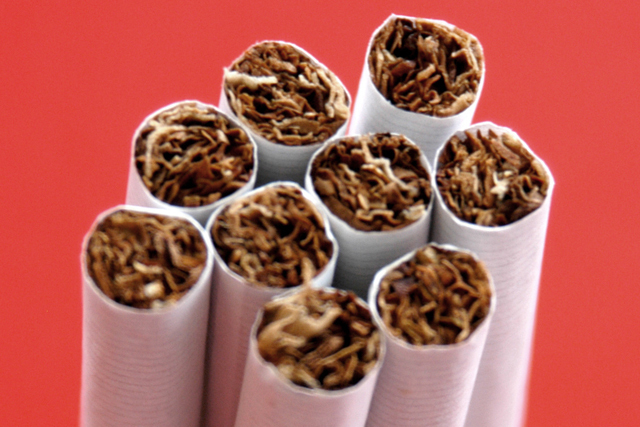 The European Parliament has passed a draft law to make tobacco products less attractive to young people and which will introduce a health warning that covers 65% of the surface of packs, as well as pave the way for a blanket ban on menthol cigarettes. Proposals have been led by Labour MEP Linda McAvan which could also make e-cigarettes subject to the same advertising restrictions as tobacco products. A measure to subject e-cigarettes to the same measures as medicinal products was not carried through. McAvan said: "We need to stop tobacco companies targeting young people with an array of gimmicky products and we need to make sure that cigarette packs carry effective warnings. "In Canada, large pictorial warnings were introduced in 2001 and youth smoking halved"
Under the proposals all fruit menthol flavours and packs of fewer than 20 cigarettes will be banned, but MEPs rejected calls for a ban on slim cigarettes. Glenis Willmott MEP, Labour's health spokesperson in the European Parliament, said: "This is a product that kills one in two people that use it. There is only one reason tobacco companies produce chocolate and menthol cigarettes and that is to lure children into taking up this lethal addiction." The requirement to place health warnings across two thirds of the pack on the front and back marks a significant increase in size with current rules requiring the health warning to cover 30% of the front and 40% of the back. In addition, all branding must now appear on the bottom of the packets. The European Parliament claims smoking results in 700,000 deaths each year in the EU and measures taken to discourage smoking have helped reduce the proportion of EU citizens who smoke from 40% to 28% between 2002 and 2012. Once legislation is approved by the EU Council the EU member states will have 18 months to translate the directive into national law. The deadline for phasing out flavoured cigarettes is three years, with five additional years for menthol cigarettes. Tobacco products that do not comply with the directive will be "tolerated" for two years, while e-cigarettes will need to comply within 36 months.